Resin Victory Basketball Figure Trophies. Available in 2 sizes, 155mm and 180mm high. Antique bronze award with gold, black and orange detail. The trophy depicts a basketball player, ball and net. 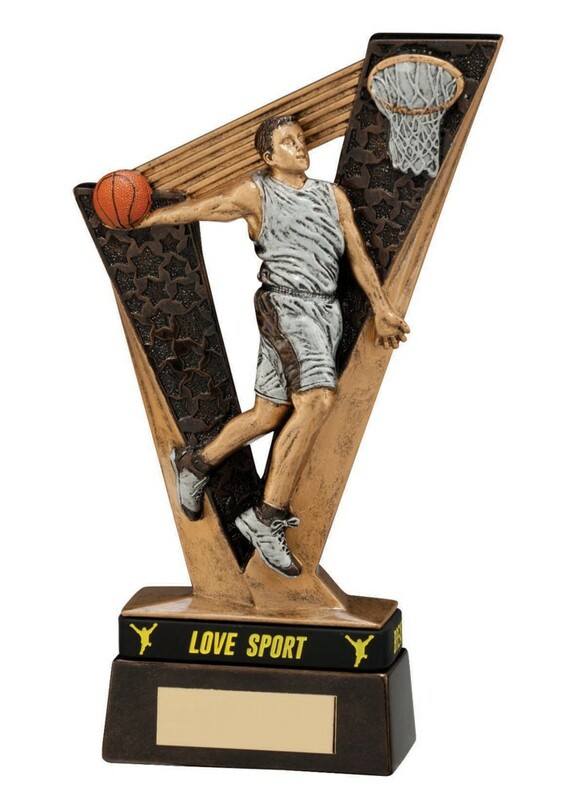 A great value basketball trophy.